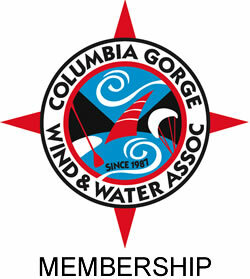 Join – Columbia Gorge Wind & Water Assoc. 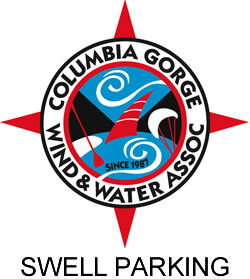 Since 1987, The Columbia Gorge Wind & Water Association, CGW2, (previously the Columbia Gorge Windsurfing Association (CGWA)) has enjoyed a dedicated and generous membership. 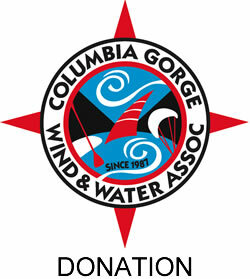 By joining, and/or making donation to The CGW2, you support a spirited community of Gorge Wind & Water enthusiasts and their efforts to improve, maintain, and protect access to one of The World’s most remarkable, top quality wind-driven water-sport destinations. Your CGW2 membership and donations help to cultivate the next generation of Gorge Wind & Water enthusiasts by supporting CGW2 youth and beginner programs. We welcome and encourage the membership of all we share The Gorge with! Please join us today! Finally, a huge thanks to all the participating businesses, shops, and vendors who recognize our hard work and want to pass along the following benefits in appreciation of your CGWA membership. Check the status of your membership anytime by logging into the membership area with the button below. If you’ve forgotten your password or don’t have one setup, you’ll see a “lost your password?” link to help reset it. If you are a business in the Gorge and would like to team up with the CGW2 please contact us for more details. Must have a valid CGW2 Membership Card with up to date membership to receive discount. Discounts are subject to change at any time. Discounts are not valid with any other discounts already in place. Please confirm discount with participating vendor prior to purchase. Enterprise Rent-a-Car 5% off select car rentals.